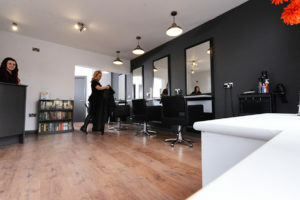 After a full salon rewire the client chose to have designer light fittings above the salon chairs, spot lights for highlighting key areas of interest. They also made sure they had enough sockets available at each chair and at the till point. This provides the company with power where they need it most. Only a full salon rewire could solve this issue for this client. Two new electric showers were added as these are best for controlling the water temperature. A must for any reputable hair salon. Self contained electric water heater with a time control for heating and a new consumer unit. 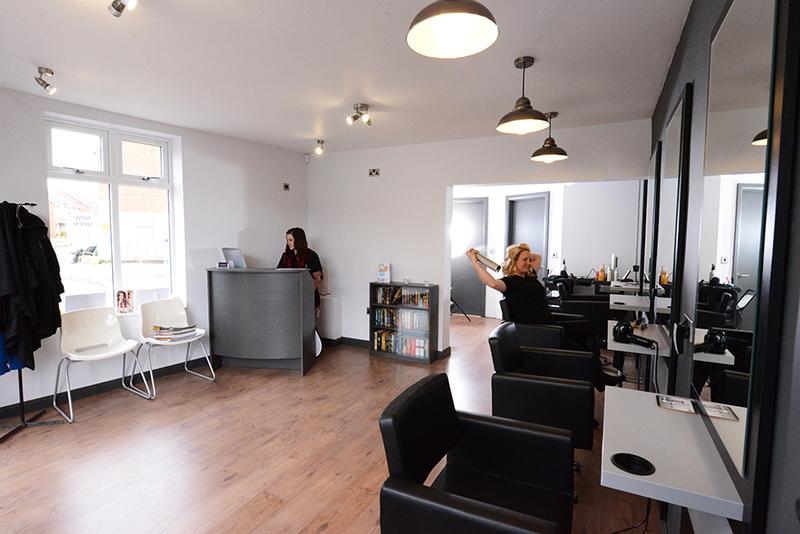 The Salon rewire is now complete and the Salon is now open for business at Salon Brewood in Cannock. Using LED lighting to save money on running costs over the year this rewire will save the owners money. Having rewired the premisses and re styled the interior at the same time has been a real success for Salon Brewood. Day and Knight Electrical has been proud to be a part of the team that helped make this transformation happen. 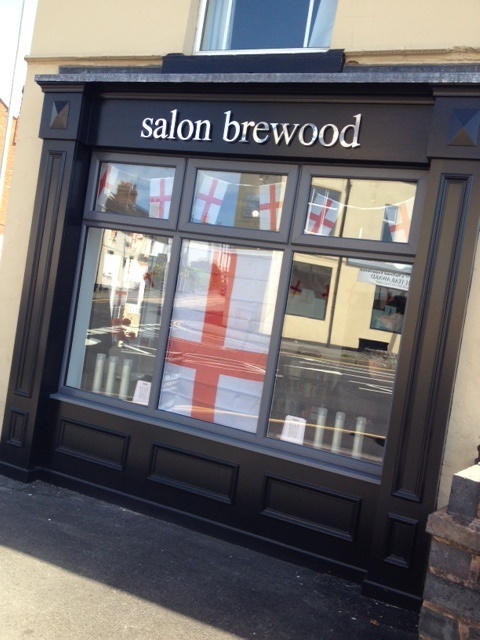 Now Salon Brewood is open in Cannock. 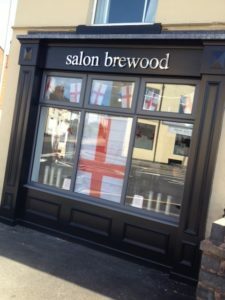 This entry was posted in Commercial and tagged commercial contracts, commercial electrician, electrician, electrician stafford, salon Brewood, salon rewire.